The former Israeli president was the very tragic hero of a not-funny comedy. Shimon Peres, the former president and prime minister of Israel, has died at the age of 93. “He served a very important function,” observed Clyde Haberman, former Jerusalem bureau chief of The New York Times, “as, in effect, the leader of the peace faction within the Israeli government.” He was also, in the course of his long career, a leading proponent of the aggressive expansion of illegal settlements in the West Bank (before coming to regret them), and, as Ali Gharib wrote in The Nation in 2014, a widely respected “elder statesman, often working to smooth the rough edges of Israel’s notoriously brash diplomacy.” In that sense he served an important function, indeed: as a perpetual invitation to what we now know was the false hope that sufficient support existed in Israeli society for the sacrifices necessary to make peace. It was this eternal recurrence of Peres-based optimism that the pugilistic Israeli writer Amos Kenan sought to put an end to with “The Zionist Dream Becomes a Nightmare,” an article published in The Nation in October of 1982. As swooning tributes to Peres, the last surviving of Israel’s founding fathers, pour in from around the world, Kenan’s essay is a valuable tonic. Shimon Peres is this kind of distorted reproduction, just as his Labor Party is a distorted reproduction. Shimon Peres was an apparatchik—of an apparat that does not function anymore because its motor is dead. Shimon Peres is an apparatchik—of an apparat that does not function anymore because its motor is dead. The motor was once fueled by the original spirit of Zionism, in its socialist version, a dream of two generations of humble prophets and naive visionaries: Zionism not just as another national liberation movement but as an experience in humanity, not only to create a new Jew in a new homeland but to create a new specimen of humankind. That dream has been turned into a nightmare by the experience of statehood and the needs of Realpolitik, and it is the Israeli Labor Party that is responsible. It is the Labor Party that is to blame for the face that Israel is now wearing, the face of Menachem Begin and Arid Sharon, of military oppression and moral decline. Menachem Begin was not elected to power; he fell into it, sucked into the vacuum created by the Labor Party and its chief architect, David Ben-Gurion. Ben-Gurion, a strong and charismatic person, was the only statesman of his generation who did not comprehend the new map of the world after 1945, who did not foresee or under­stand the breakup of old empires, the end of colonialism, the rise of new nations, the emergence of the Third World. Until 1956, when France and Britain withdrew from the Suez and from the Middle East forever, he still believed that these were powers in the world, powers to rely on. In the mid-1940s, illuminated by the flame of the Holo­caust, a war raged in Palestine between the Jews and the British Empire, the former led by the left-wing fighting force of the Palmach and the smaller nonleftist groups of the Irgun and the Stern. In 1948, Ben-Gurion had them liq­uidate one another and disappear from political life so that their anti-imperialism would not affect the course of the newly born state of Israel. Ben-Gurion still did not believe that imperialism was dead. After this liquidation, Ben-Gurion seized an opportunity to drive Palestinian Arabs from Palestine, an opportunity provided not only by the guilty conscience of the West after the Holocaust but also by the fact that the leadership of the Palestinian Arabs had collaborated with Hitler. The ancient Arab regimes that subsequently invaded Israel were driven off in a genuinely heroic fight, but they were driven together with the bulk of the Arab population, which was then left to pay in refugee camps for the crime of corrupt leaders. The crime of Deir Yassin, although not committed by Ben-Gurion, was a benediction for him. This tragedy, the root of all evil, all problems, in the area, was then sealed by a conspiracy between Ben-Gurion and King Abdullah of Jordan, at the time a British puppet. Jor­dan would get the West Bank—where the Palestinians had hoped to establish a separate state—so as to absorb and replace any Palestinian nation, and Israel would see the Palestinian problem vanish forever. Will the Democratic Platform Committee Go to War Over Israel? Ben-Gurion thus set Israel on a collision course with Arab aspirations, Arab hopes. He did not believe in coexistence and cooperation with the Arabs and did not trust one single Arab leader. He sought all his life to make the West provide an umbrella for Israel’s protection, forcing the West always to choose between us and them—and if it’s not us, we’ll create enough trouble to prove that it must be us. This is the political school to which Peres went. And not alone: Moshe Dayan, too, learned there, the Dayan who had been instrumental in sealing the pact with Abdullah, who invaded Egypt in 1956, who brought the Yom Kippur war on Israel. Peres found refuge and comfort as the Deputy Minister of Defense under Ben-Gurion. He developed and nourished Israeli relations with France, which at the time was engaged in the Algerian war: Israeli soldiers were trained in French military camps; Israeli officers went to the Ecole de Guerre; Israeli experts helped French administrators in Algeria. Meanwhile, the Israeli secret service was helping King Hassan II of Morocco put down domestic opposition and reportedly even had a hand in the assassination of Ben Barka, the promising opposition leader. Israel also was in­volved in shipments of arms to Cuba’s Batista, strange secret military relations with South Africa and nuclear research projects with the French. This is the world in which Peres grew to become a full-scale apparatchik, the world in which he gradually accumulated power. On the Palestinian issue, Peres has been no less rigid than his mentor. He invented the fiction of a “Jordanian solu­tion” that was rejected by Jordan and opposed completely by the Palestinians. Even today his position is not far from Begin’s. Like Begin, he believes the Lebanon war was a good way to eliminate the Palestine Liberation Organization and clear the way for a Middle East settlement in which the Palestinians will be forever excluded. The only difference in policy between the two, a slight one, is that Peres would be willing to give Jordan back part of the West Bank as a token “territorial compromise,” while Begin will allow Jordan to stay as it is and surrender to Israeli peace terms as well. 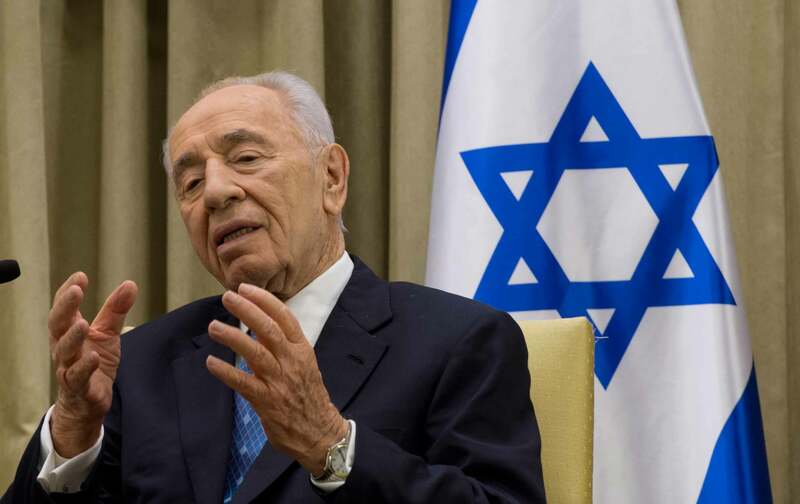 No less than his right-wing opponents, Peres believed facts on the ground could change geography and become history. Peres also has a somewhat different strategy. He believes the Arabs have to be pushed, gently but perpetually, not let­ting them feel how, one by one, newly created “facts” keep pushing them. One should never make these stupid noises that Begin is making, he would say. Don’t boast, don’t threaten, don’t overkill. Just push, push. In this way, Peres believes—as the Labor Party believes—facts can change geography and thus become history. But one cannot change geography. And any geopolitical map on which Palestinians do not exist as a sovereign entity is worthless and invalid. That is why Peres cannot replace Begin as Prime Minister. Not that there is much practical likelihood of that. There are social circumstances that make it almost impossible for a socialist to be elected, be it Peres, Eban, Rabin or anybody else. In Israel, white-collar workers vote Peres, blue-collar masses vote Begin. In Israel, Oriental Jews have low status, low income, low education. European Jews have high status, high income, high education and every high position in the social, political and military structure. In Israel, the Peace Now demonstrators are white, blond and blue-eyed; the pro-war demonstrators have black hair and black eyes. And as long as peace with the Arabs is represented by socialists who took the fat of the land and left the poor in the slums, there will be no peace and there will be no Labor Party Prime Minister. Period. The poor cannot be fooled by this kind of a Labor Party; they would rather have an honest bourgeois party robbing them to death but offering them sweet revenge and some pride and a sense of power. Israel is an Inferno for old-school Marxists. It acts crazy under a Marxist microscope. It gives the right answers only to the wrong questions. In such a perverted situation, Shimon Peres sticks out as a very tragic hero of a not-funny comedy. Shimon Peres is not a bad guy —he lacks the dimension. But neither is he a nice guy. There is no way to paint a por­trait of such a person, because a portrait can only be drawn from life. All we have here is a skeleton, and one can only make a reconstruction from that. A skeleton of what once was the socialist Labor Party. And a skeleton cannot have a human face. Amos KenanAmos Kenan (1927 – 2009) was an Israeli novelist, sculptor and journalist.